Build / Body type Muscular, trapezoid body type, and light to moderate body hair. Face: Sifr has an oval shaped face, with strong expressive features. His hair is shaved down close to the skin. Thick black eyebrows set over wide and narrow deep dark brown eyes, that carry a gentle gaze. A long scar trails down over his right eye from above the eyebrow down to his cheek, likely from a wound by a blade of some kind. He sports a short-trimmed beard, with thin lips and a pointed chin. Body: Sifr appears to be of slightly above average height for a Redguard, with a muscular build, clearly part of his cultural upbringing in martial combat and his previous line of work. His strong toned musculature evident through the thin fabrics of his clothing; broad heavy-set shoulders along with a matching broad chest, a slightly narrower waist and hips widening back marginally, down to strong legs. His skin is light brown/olive in tone. He also has a expectedly has body hair, specifically lightly spread across his chest in a wing shape, trailing down his torso in a line, with a moderate amount on his forearms and legs. His body is also covered in numerous scars, and in similar case to his eye, they all appear to originate from blade wounds. Cunning and Shrewd - Traits that are absolutely necessary as far as the Redguard is concerned, whether it be related to surviving the job as a sell-sword or aiming to be the biggest merchant in the region if not all of Tamriel. Ambitious - Well, given his desire to be the top, this one is fairly obvious. Aggressive - When it comes to either the business of haggling and trading or combat, then Sifr is known to be aggressive, shrewd and cunning. It’s as if his years as a blade for hire influence his style and method of trading. Whether a sword for hire or a merchant, it's all about making a profit. Kind and Friendly - Seems like an odd trait to have given the above... Is it all just an act in front of his customers. Putting up a front of a kind and friendly demeanour to put them off their guard and give himself an advantage during the haggling processes, or does he truly have a gentle heart beneath the battle-hardened exterior? Charming and Charismatic - Whether it is the battle-hardened lone wolf that still resides beneath those deep dark brown eyes, or the forward and silver-tongued merchant, the Redguard can have a certain appeal to him. Flirtatious - This one should be obvious. The man enjoys the company of beautiful women, and will do what he can to sweep them off their feet, in all senses of the phrase. 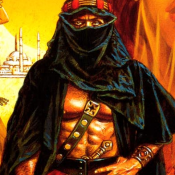 What is known of Sifr, is that he had started off as a blade for hire, as a lone mercenary and not part of a group, working random jobs here and there. At some point later down in his career as a sell-sword he was hired by a travelling merchant, to act as a personal bodyguard/security and to basically stand there and be intimidating when she was in heated negotiations to turn things to her favour. His employment under the merchant lasted significantly longer than his normal contracts, as they travelled from numerous places across Hammerfell and further out. At first standing there and listening to his employer haggle and barter back and forth with fellow merchants and high end customers, was anything but enjoyable. He had found it difficult not zone out every few minutes. However overtime he had started to pick up on some of the subtle tactics and tricks that merchants would use when negotiating and haggling with each other. Little gestures, use of certain words and delivery of phrasing all were methods that made it feel like he was watching two gamblers facing off for a large prize pot, and the higher the stakes the more heated it became. It was actually quite enjoyable to watch. At one point he could have sworn he was watching two generals playing out a metaphorical battle of wills on some large scale nonexistent battlefield. The answers were short and uninformative at first, but as they grew closer, she would start to educate him on the art and all its subtleties. Some years had come and gone, and Sifr had gone from simply being a sword for hire, to apprentice merchant (one that wields a sharp blade and sharper tongue). Currently he is now a well-known merchant to most common folk around the regions of Hammerfell, travelling with a small caravan, known as the Oasis Mercantile Caravan, and trying to make the most profit possible whilst maintaining a clean and positive reputation. Which means in most cases he would not aim to outright cheat a customer, but he always makes sure it’s a hard bargain, with little wiggle room in his prices. What happened to his employer/master? Well no one has heard from her in some time and as such rumours fly about as always. Some say they had a falling out and are now rivals. Others say he killed her. It's difficult to tell what really happened. The only way would be to ask him. OOC Note: The information here wouldn't normally be obtained by asking around, but I've put here as potential RP hooks from simple themes to allow a meeting, to hooks that allow for a much larger build up in plot. Your character might find out the basics but no real specifics prior to meeting up. Coin - An obvious one really. Sword for hire to merchant? His career choices reflect his rather materialistic desires. Music - Surprisingly or unsurprisingly (depending on how you look at it), Sifr is an avid fan of the musical arts, and even knows how to play the lute himself, and is learning to play the flute. Furthermore a beautiful voice can truly sway his heart. Reading - Another odd choice of hobbies, Sifr loves a good book, especially if it's about some grand epic adventure. Nature - Travelling a lot does that. You take in the beauty of the world around you, and truly appreciate it. Beautiful ladies - Well, similar to the beauty of nature, travelling allowed Sifr to meet with many a beautiful ladies, and he definitely admires and appreciates this form of beauty as well. Work and Profit, Profit, Profit - Sifr is a hard working individual, who does not shy away from getting his hands dirty. This characteristic which is not usually found commonly in merchants actually gives him certain charm to his customers. Of course the reason he works hard is to make coin and a big profit, but let's not ruin the good image shall we. Expand his business - Sift would love nothing more than to continually expand his trade empire across all of Tamriel, for obvious reasons. 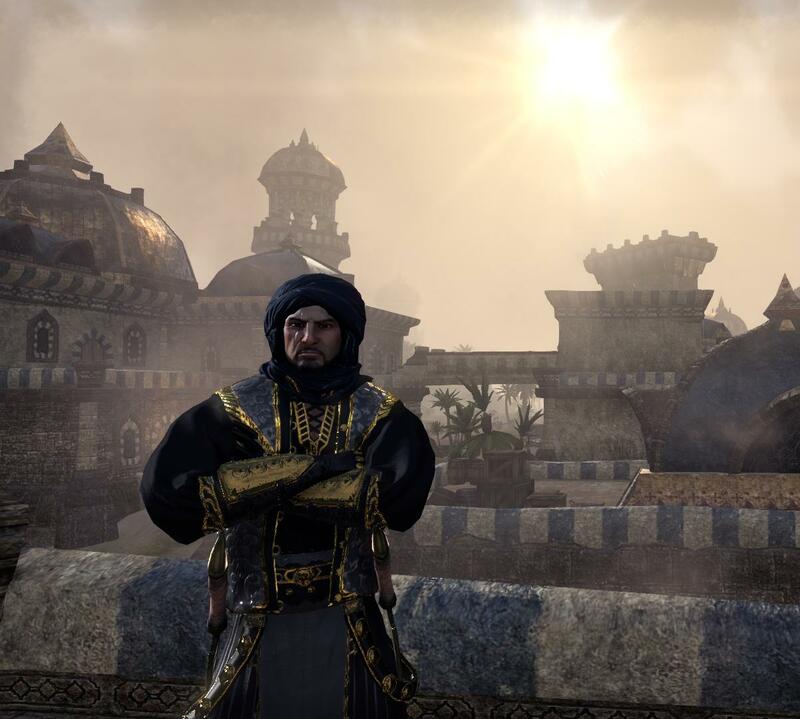 Merchant Lord - Sifr's big dream and endgame goal is to become a Merchant Lord of Abah's Landing in Hew's Bane. I am a new ESO player, having recently joined, and enjoying the game immensely. Love the world design and character building overall. I have years of RP experience, from other MMOs to classic tabletop RPGs. I have played numerous other TES titles, however my lore knowledge is rather weak I'd say (currently replaying all the previous games from TES 2 onwards to get a better handle on it), so I'd kindly ask you to just look over my mistakes and correct me OOCly if possible, until I get a better grip on things. Sifr had just returned from a long journey to find his home in Bangkorai to have been ransacked. So much damage had been done and property stolen that it had set him back months. With fists clenched, he set out to find the culprits and his stolen goods. A few days of asking around and investigating, he had found out that the culprits were bandits who recently begun roaming the region. He had managed to also locate their rather sizeable camp, but was not foolish enough to go in blade swinging, at least not just yet. Under the guise of darkness and a sandstorm, he sneaked his way into their midst. Whilst searching for his lost possessions, he came across a young woman who was being held captive. She claimed to know where the bandits had hidden their stash and would help him if he agreed to free her. 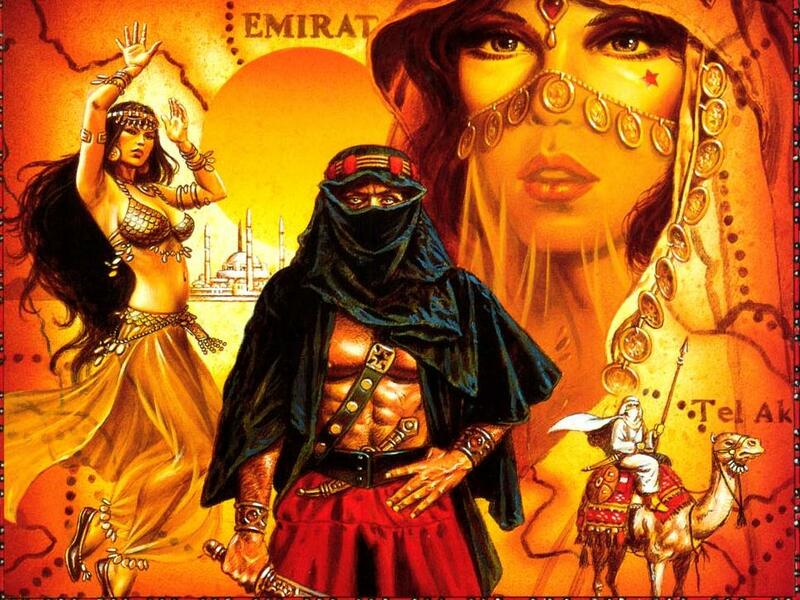 Two dead bandits later, the young lady, named Sofi, was set free and would lead Sifr to one of the bandit's stashes. With her help, he took back as much as of his lost possessions as they could carry, and they safely made their way out of the camp, and travelled back to his home. He offered the young lady a job as an assistant, with the promise of food and shelter. It was sudden, but he had a good feeling about her and was usually an excellent judge of character. Furthermore with the way things were currently, he was going to need help to get things back in order. She was hesitant to make a decision there and then, and wanted time to think about it. So he gave her some food and water and they parted ways. Sofi had returned to his small estate the next morning to accept the offer. They shook on it, and Sifr wasted no time in getting her to work. They started by cleaning the place up, and going through the recovered possessions, arranging it in what was for the estate and what could be used as merchandise to sell. They had then set out in his caravan, pulled by his trusty camel Stubb, to Evermore. After a few stops, they finally reach their destination. He showed her the ways of his craft, and they got a few items of furniture for the estate, as she would need somewhere to sleep, and the were repairs to be made in general. Before the day's end, they arrived back home, and before they could rest, he had them both work on fixing a few things first before a nice dinner and then finally some well needed rest. Sifr, along with his assistant, had gone outside to gather materials to use to rebuild his home and to stock pile anything else they gathered to sell at a later time. During their outing, which was proved to be rather unfruitful save for the little wood and cotton they had managed to gather, they had nearly stumbled into the a group of bandits, the same lot that had damaged his home and livelihood, and had taken his assistant captive. Ensuring to remain hidden, they quickly made their way safely back to his home.